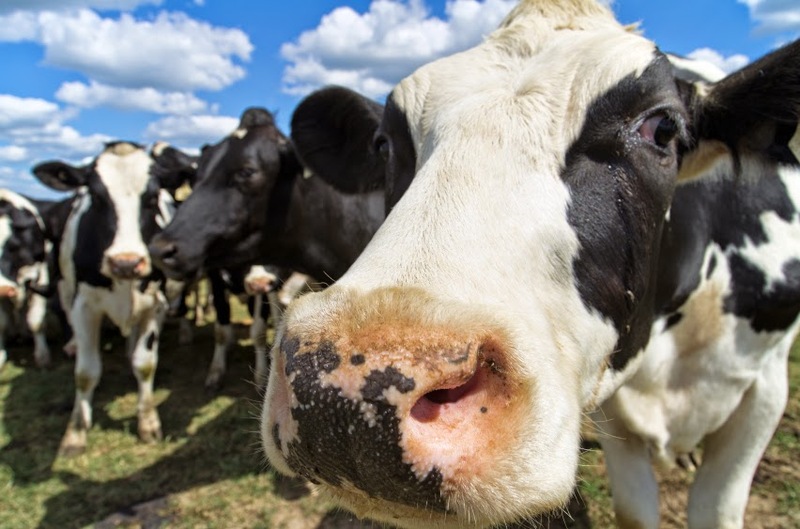 Security officers at Bolingbrook Clow UFO Base arrested a UFO crew after discovering 8 missing cows in their craft. The cows were from a farm that supplies milk to the Oberweis stores. “In less than 24 hours, the cows went from being kidnapped to being recovered and safely returned to their farms.” Said Paul Z. Likeman, spokesperson for Clow UFO Base. Likeman claims that the crew kidnaped the cows with the intention of breeding them on their home planet. The crew would then sell the cow’s milk on their home world, without paying a franchise fee to Oberweis Dairy. According to an eyewitness who works in the Bolingbrook Oberweis, one of the accused aliens was a frequent customer. Kogoo, the crew’s legal representative, said his clients weren’t guilty, and is prepared to defend them until their names are cleared, or until they can no longer pay his legal fees. Kogoo also announced that he had hired members of the Bolingbrook Skeptics to launch a social media campaign to pressure Clow officials to release. A member of the group, who wore a hood to conceal his identity, explained his reason for defending the aliens. Oberweis was on the campaign trail, and could not be reached for comment. Though a spokesperson did speak to this reporter anonymously.